Show up to support the Austin Sanctuary Network at City Council! 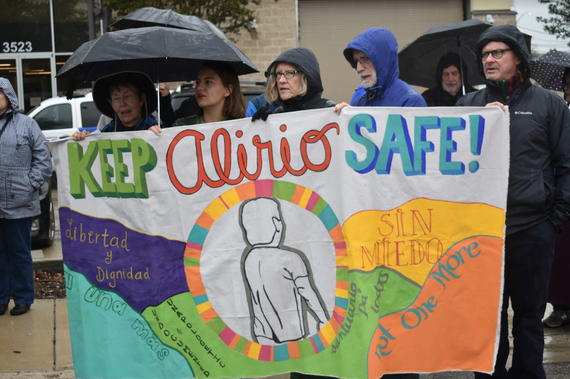 Indivisible Austin is a proud active member of the Austin Sanctuary Network, supporting asylum seekers and immigrants finding refuge here in Austin, and advocating for immigrants rights throughout Texas and America! Moreover it will show Austin’s support for national Sanctuary efforts, and leaders like Edith Espinal in Ohio, Juana Luz Tobar Ortega in North Carolina, Carmela Apolonio Hernandez in Philadelphia, and Alex Rene Garcia in St. Louis as well as our Austin Sanctuary leaders Alirio Gamez, Hilda Ramirez and her 12 year old son Ivan Ramirez. Join us at Austin City Hall for the passage of this monumental resolution that will be one of many more to come all over the United States!